A cut-out soldier for my animated music video, Manifestations. 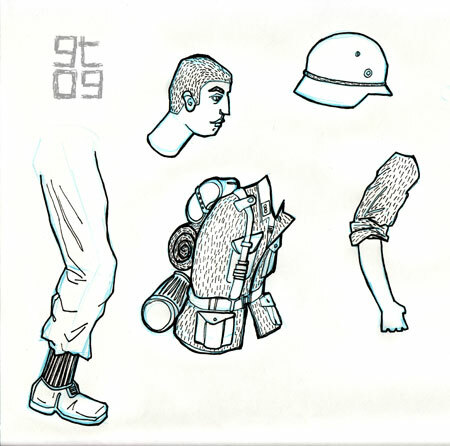 The soldier is jointed so that he can be animated in After Effects in a cut-out style. 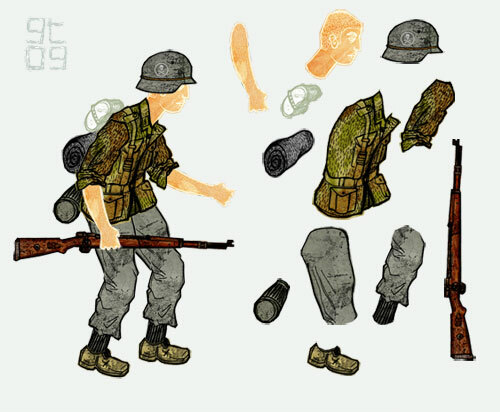 His helmet, gun and items on his back are all separate objects for secondary animation.